F-Classers — you better get your ammo loaded and your bags packed. The 2013 F-Class U.S. National Championship commences this Sunday, August 18, 2013 with an official practice day. The United States National Championship matches start on Monday with Registration and Squadding at 0700-0730. (Don’t over-sleep and miss the action.) There will be individual matches on Monday, Tuesday, and Thursday, with a U.S. Championship Team Match on Wednesday. There will be a squadded practice at 1000 yards for individuals and teams. Squadding at 0700-0730. Commence firing 0800. Squadded practice fee is included in the match entry fee. There will be four relays, 20 minutes per relay. The range will be closed the remainder of the day. Commence fire 0800. Three individual 15-record-shot 1000-yard matches plus Aggregate. Three individual, 15-record-shot 1000-yard matches plus Aggregate. shots for record per team member. Two 1000-yard individual 20-record-shot matches plus Aggregate. 22, 2013. Free to all competitors. $10.00 for guests. The first contingent of the Australian F-Class Team is heading our way. South Australian members Richard Braund, Stuart Braund, Dave Zerbe, and Mike Willment, received an enthusiastic send-off by fellow F-Class shooters in Adelaide, before the foursome jetted off to Sydney. They will join other Aussie team members in Sydney before flying to Los Angeles, and then heading on to Raton, NM. Coming all the way from the Southern Hemisphere requires hauling a ton of gear through multiple airports. We don’t want to even think about the “excess baggage” charges. 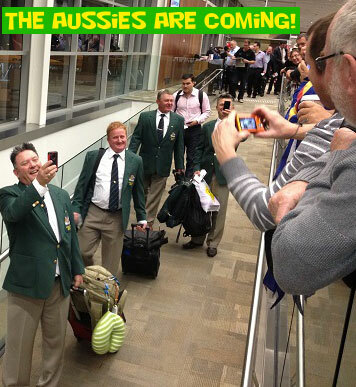 At least these intrepid Aussies will be racking up the frequent flyer miles. Sydney to Los Angeles and back again is roughly a 15,000 mile round-trip. Report by John Cranwell of South Australia, who tells his countrymen: “Go Aussie!”. Share the post "F-Class Nationals Kick Off Sunday — World Championships Follow"
This fall, the Civilian Marksmanship Program (CMP) will offer a 3-day, Advanced Maintenance Class (AMC) for students with strong mechanical aptitude and a desire to learn how to work on M1 Garand rifles. The first AMC class starts Friday, November 1st at the CMP Custom Shop in Anniston, Alabama. The course fee is $1,400.00. This includes a CMP Special Rifle that each student will build (as his own “keeper”) and three lunches. Students must provide their own accommodations in Anniston. The 3-day class is intended for individuals interested in learning how the M1 Garand rifle functions and how to perform advanced maintenance procedures to their personal rifle(s). The class involves classroom lecture as well as hands-on shop time. Tools will be provided. NOTE: This class is not intended for gunsmiths or students with advanced knowledge of the M1 rifle. No prior armorer or shooting experience is required. Students will each assemble their own CMP Special rifle from components included in the AMC fee. To apply for the CMP AMC, complete the online APPLICATION FORM (You can fill this out online or download the PDF file and email completed application to armorers@thecmp.org.) The class is expected to fill quickly. Students will be accepted on a first-come, first-serve basis. For more info, email John McLean via email at jmclean@thecmp.org or call the CMP Custom Shop at (256) 835-8455, ext. 2114. The November AMC class is the first of its kind. However, the CMP hopes to offer similar classes quarterly at the Anniston Custom Shop. 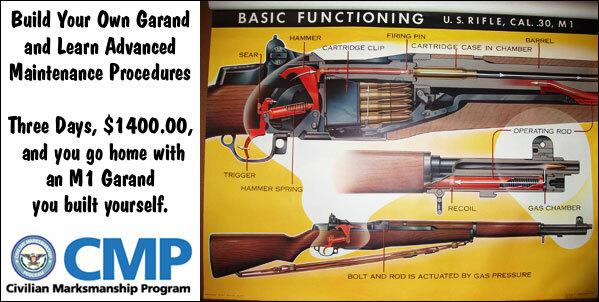 Share the post "Build Your Own M1 Garand at CMP’s Advanced Maintenance Class"
Need a new firearm, scope, or gun accessory, but are you overwhelmed with the myriad options available? Well there’s a new website that allows gun enthusiasts to comparison-shop firearms, ammunition, parts, scopes, and accessories. GunZillion.com, slated to launch this fall, is an online, comparison-shopping engine focused exclusively on the firearms market. The website will offer hundreds of thousands of products from a network of top online retailers. This lets consumers quickly find and compare products from many different manufacturers. Using modern web database technology, GunZillion.com offers advanced search capabilities as well as quick filters for caliber and gun type. “The walls have been closing in on firearm companies’ ability to advertise online for quite some time,” explained Jake Messerly, President of GunZillion.com. 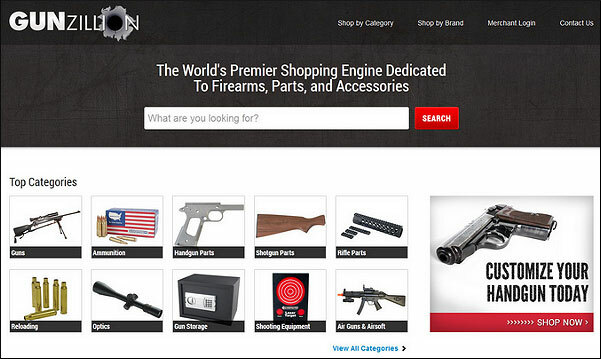 “Over the past year popular sites such as Google, Nextag, and Amazon have stripped the vast majority of firearm-related products from their websites leaving retailers very few options for promoting their products online. GunZillion.com will give consumers an exclusive experience and retailers a dedicated channel to market their products.” GunZillion.com is seeking to partner with the top retailers in the firearms, ammunition, parts, and accessories markets. Share the post "GunZillion.com — New Comparison-Shopping Site for Gun Stuff"